Today’s is our first youth football practice for 2014. I am getting very excited. Since our old team graduated to 7th grade Intermediate school football last season, we dropped back down in the KYA league and picked up a 10U / 3rd grade team. We had an incredible player draft allocation on Saturday getting 7 of our top 10 evaluated players, so we have high hopes for this team. Hopefully the same magic as our last Sophomore (Falcons) team had going undefeated and winning a Super Bowl. We will see today if they look as good at practice as they did on paper before the draft. Hopefully we can find and or confirm our QB, Center, Running Backs and other skill players today and Thursday. For more on practice plans check out my ebook on Practice Plans. Well, I have a few items to go before i am ready for tonight. I need to get my first aid kit and mouthpieces in my coaching backpack and print off the roster, practice plan and contact sheet for the parents to give me updated cell phone numbers and emails. Since I am only helping coach practices this year as I am taking a short break from Head Coaching, I am trying to relax and enjoy the rest of the day and let the head coach worry about all the other equipment for practice. Are you ready for practice today? Did you give your 110% to the team in your preparation? I know you did! 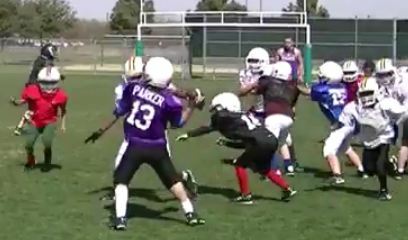 I’m a new Youth Football Coach in Ohio. We just finished our season 3-5 gaining more wins than the previous 5 seasons combined, and making playoffs. We lost 40-0 first round.The Owner told me after the final game I’d be Head Coach for next year. (I was one of the Assistants) Our Head coach never showed up. I’m pretty new to this so I’m really just wandering where to start off for next year. When I joined it was really sloppy, kids came joined, the then coached looked at size and was like “you’re this, you’re that” Pracice was a lap run and then mostly a drill the head coach called “Pancake”. Season doesn’t start until next August but I want a head start to be prepared for next year. I really want to give the kids a perfect year, and teach them football the right way. I coach the 75lb (4-6 year olds) We don’t draft here it mostly find kids and get them to come. What drills would I need to run to scout talent and run practice? What are some good teaching methods for this age group? What are some good offense/defense plays for this age group? Any advice in general would be helpful.